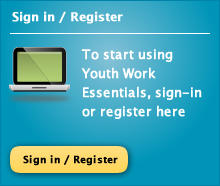 A one-stop shop of core information for youth workers and volunteers. Each resource includes downloadable fact sheets and templates. A guide to safe youth work practice, including child protection, safer recruitment and health & safety. All the information you need to run quality youth work programmes, including guidance on fundraising, programming and management committees. An online 'how-to' guide for starting a successful youth group or project in your area. Resources, training and small grants to challenge sectarianism in youth work settings. Everything your organisation needs to ensure you are compliant with the latest employment law. Providing you with guidance on how to induct volunteers in youth work. Document Library, where you will find documents listed in alphabetical order. 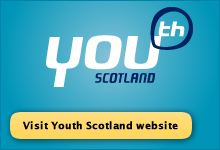 A youth work e-resource on smoking prevention activities, developed by ASH Scotland. Helping you to explore and demonstrate the impact of your youth work practice.